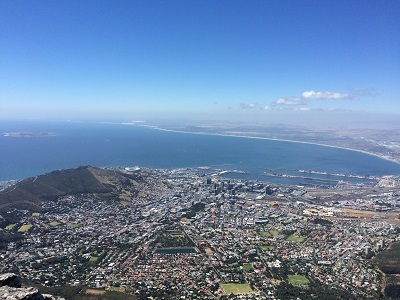 Dr Katharine Vincent is in Cape Town this week for a workshop on communication, interpretation and use of climate information for development led by Professors Suraje Dessai (University of Leeds) and Coleen Vogel (University of the Witwatersrand). Katharine will act as a mentor alongside Drs Joe Daron, Admire Nyamwanza and Rachel James. The workshop brings together early career researchers from the UK and South Africa under the British Council Researcher Links programme, which aims to enable interaction, shared opportunities for learning, and the building of research links for future collaboration.